14-year-old Mia is still coming to terms with the fact that she’s a princess – and heir to the throne of Genovia! But when she announces on national TV that her mum is going to marry her algebra teacher, a right royal fuss breaks out! Now Mia’s dreadful old Grandmere is getting ready to plan the year’s biggest society wedding. She’s invited every A-list celebrity in town. But will the bride and groom show up? 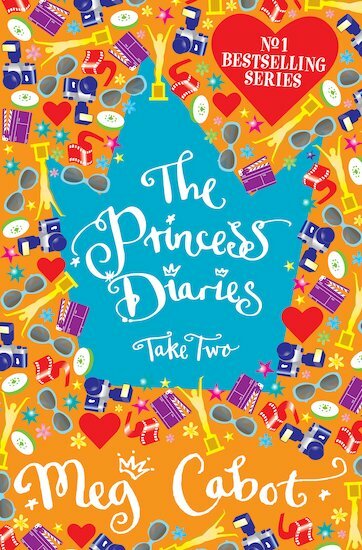 I really enjoyed these books when I read them, a normal girl finds out that she is a princess and heir to the throne, that is every little girls dream. the second in the series and Mia faces living with a teacher, what’s a princess to do? This book is fab. One of my fave charaters is Sebastiano, WANT TO READ MORE!!!!! WHY ISN’T THERE 100 BOOKS IN THIS SERIES!! Meg Cabot is the author of the hugely successful Princess Diaries series, and other great titles for girls.